Precision manufacturing and finishing. 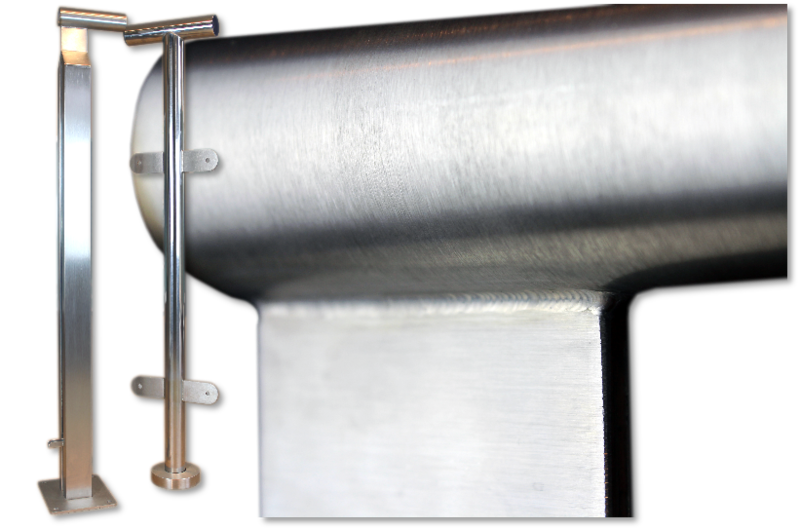 This part required manufacturing to tight tolerances out of stainless steel, powder coating specific areas, and screen printing onto the front face. Read on to see the results. manufactured, painted and screen printed. These aluminium casings were manufactured from laser cut sheet aluminium and fabricated, painted and then screen printed creating the finished product ready for our customer to install their components into. 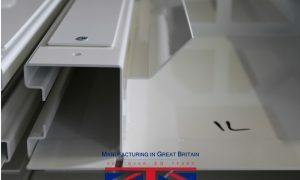 Precision sheet metalwork, an example of a bracket manufactured. 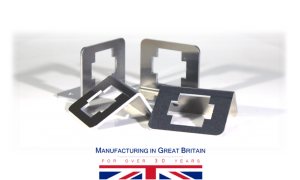 This aluminium bracket design was manufactured using our on site laser cutter, and CNC press formed into shape. 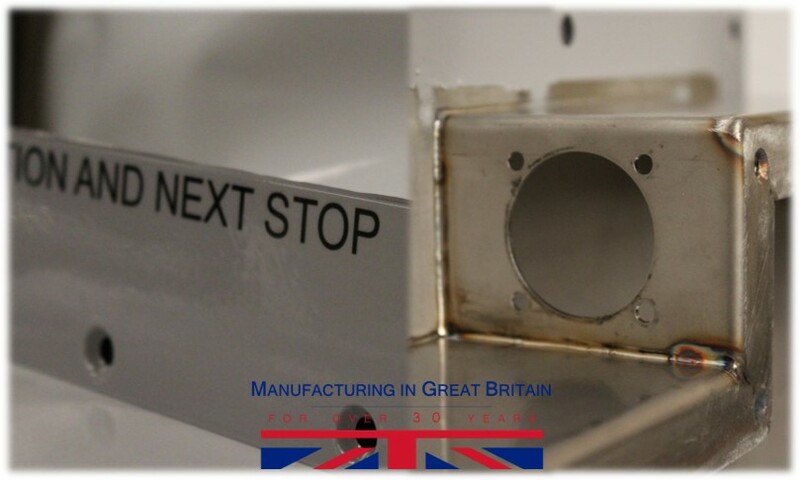 The result was a significant number of brackets, manufactured accurately and quickly, on time and on budget. 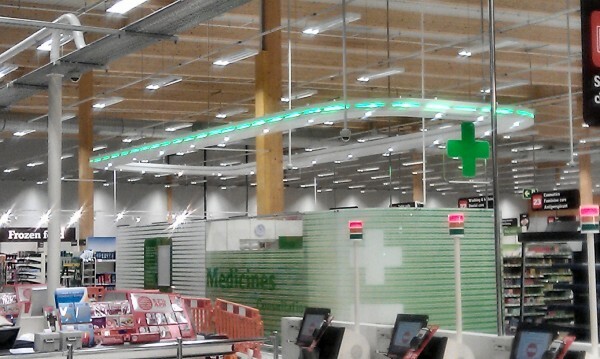 This was to illuminate and advertise the Pharmacy services located in a Sainsbury’s superstore. The lighting raft was to meet certain requirements. It would need to be suspended from cables, to have a good commercial external powder coated finish on the structure as it will be clearly visible from all sides when hung above the Pharmacy. Following another successful exhibition at the NEC Care show with our Controlled Drugs Cabinets, whilst there, we sought to discover what the care home owners would like to see from us as manufacturers. 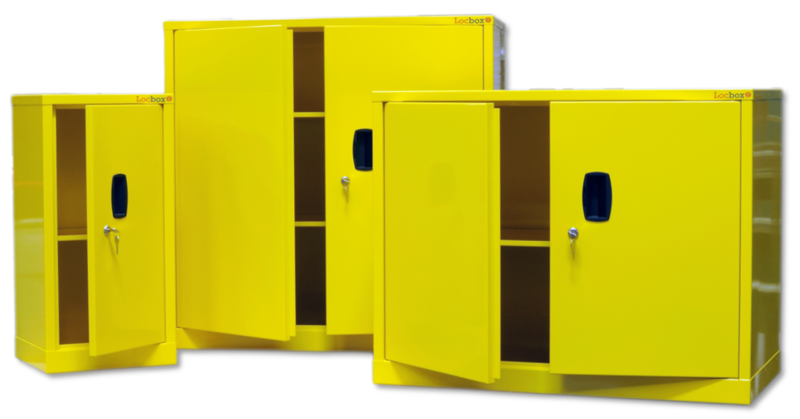 The design and manufacture of our new range of CoSHH cabinets and hazardous substance cabinets seems to have been a natural progression for our company and these sits very well within our existing range. 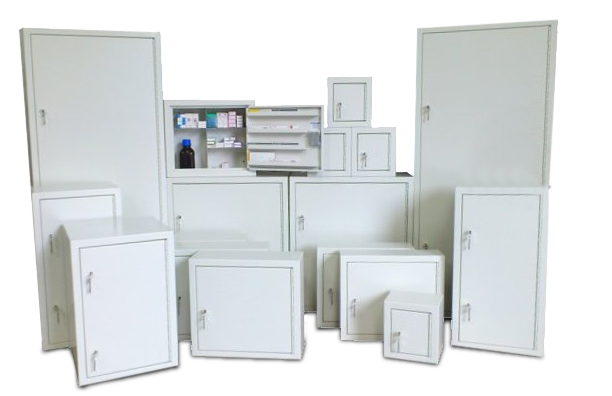 This case study indicates our thought processes and the design pathway we undertook to achieve our new range of CoSHH cabinets and hazardous substance cabinets we make today. 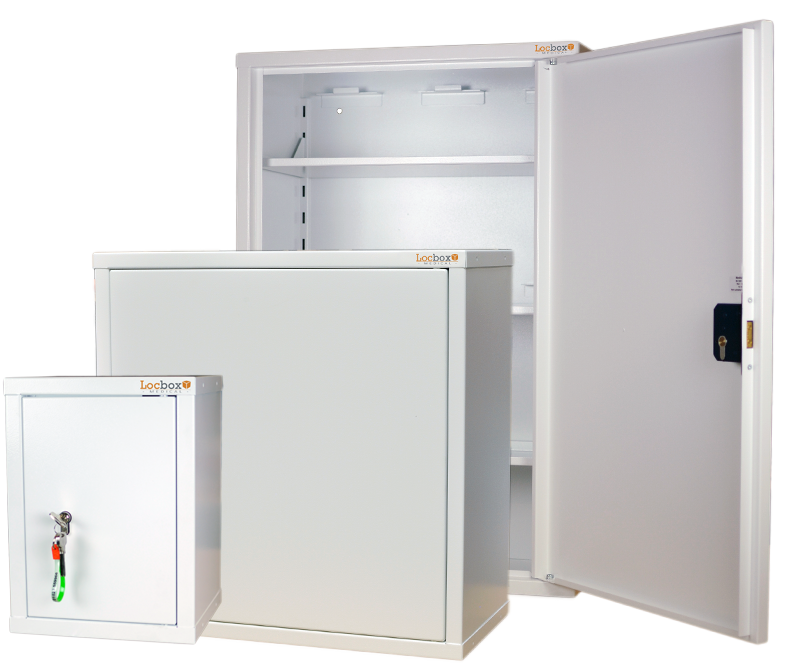 As manufacturers of shot gun cabinets and saddle safes for many years we were looking to evolve the product to include a wider market. The strict requirement for storage of Controlled drugs has a similar requirement to the storage of shotguns so this seems a natural progression for us. Garage furniture case study demonstrating the design and development process from our existing range of UK made cabinets, through to our garage and commercial workshop furniture. 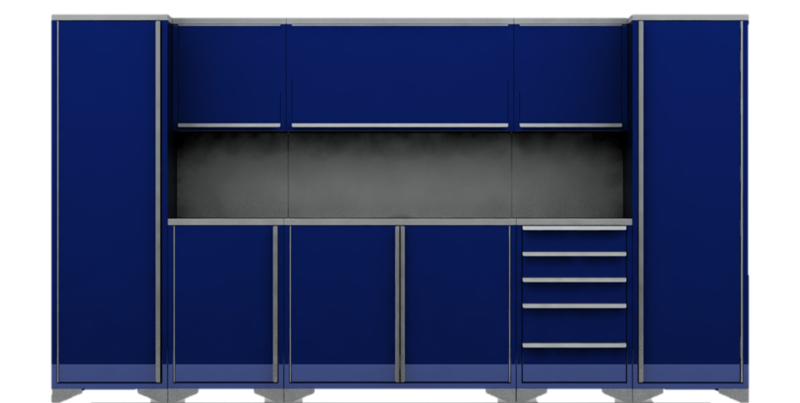 Utilising our 30+ years of manufacturing experience, we have developed a comprehensive range of garage furniture designed with the user in mind. The increased number of break-ins, together with the high value of horse tack and equipment taken from stables and livery yards, further indicates the need for improved security measures at these types of premises. We’ve identified the need for a secure tack storage cabinet to help prevent horse equipment crime and keep an owners saddle safe. We were contacted by the head of engineering at Nottingham (East Midlands) Airport and asked if we could assist in the design and production of a passenger management and control facility at their new security check in area. A raised platform was required to enable safe, high level access for the maintenance of machinery. The colour had to be discreet and durable, with easy access essential to the base of machinery. Finally, the platform has to fit through a double door entrance. We produced a durable, high access gantry, which allows safe working operations to the machinery below. A discreet appearance was created with the use of a matching colour to surrounding equipment.